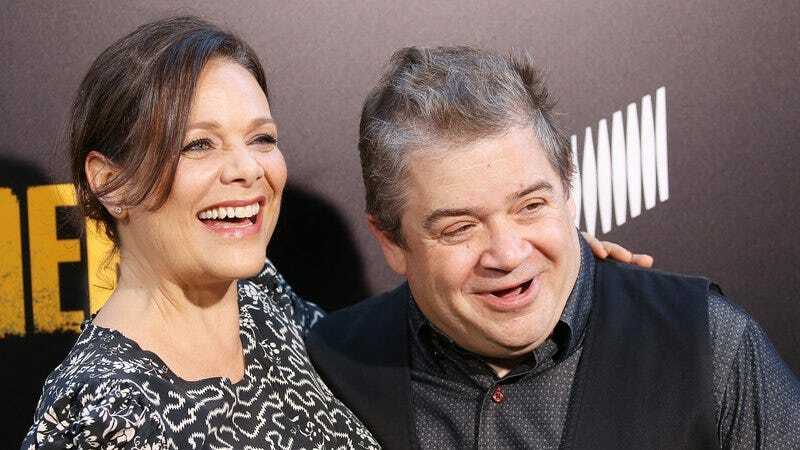 Patton Oswalt was very open about the grief he experienced after his wife, novelist Michelle McNamara, died unexpectedly in April of 2016, but now he’s taking an opportunity to be open about a happier development in his life. As reported by People, Oswalt is now engaged to actress Meredith Salenger, capping off a string of adorable social media posts that the pair have been sharing since making their relationship public at the premiere of Baby Driver last month. Naturally, their social media posts have only become more adorable since they got engaged, so there’s no telling just how much cuter this whole thing will get before the actual wedding happens. For those who don’t know Salenger, People notes that she went to Harvard and has appeared in stuff like Lake Placid and Disney’s The Journey Of Natty Gann, and she also provided the voice of Jedi Padawan Bariss Offee on Star Wars: The Clone Wars.